Super-resolution problem is posed as an inverse deconvolution problem. Fast non-iterative super-resolution algorithm based on this approach is suggested. Different super-resolution problem statements for the cases of exactly and inexactly known transform operator were considered. Andrey S. Krylov (born 1956), graduated from the Faculty of Computational Mathematics and Cybernetics, Lomonosov Moscow State University (MSU). Received the degree of PhD in 1983. Currently an associate professor and head of the Laboratory of Mathematical Methods of Image Processing at the Faculty of Computational Mathematics and Cybernetics, MSU. His main research interests lie in mathematical methods of multimedia data processing. Andrey V. Nasonov (born 1985), graduated from the Faculty of Computational Mathematics and Cybernetics, Lomonosov Moscow State University (MSU). Currently a member of a scientific staff of the Laboratory of Mathematical Methods of Image Processing at the Faculty of Computational Mathematics and Cybernetics, MSU. 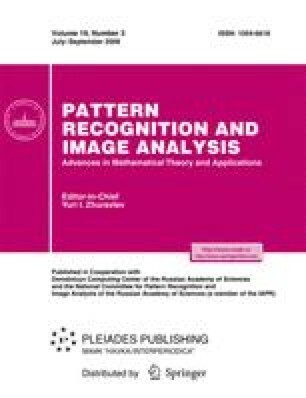 His main research interests lie in variational methods of image processing, inverse and ill-posed problems. Oleg S. Ushmaev (born 1981), graduated from the Lomonosov Moscow State University in 2002. He received the advanced degree in computer science from the Russian Academy of Sciences, Institute for Informatics Problems, in 2004 with a thesis on multimodal biometrics. Since then, he has worked as member of the Institute research stuff. His research interests in the area of pattern recognition and image analysis include biometrics, fast image processing and statistic pattern recognition.